Croatia is the first Western Balkans country to join the European Union. Its accession on 1 July 2013 is the result of a decade-long negotiation process. Since the formal application for EU membership in 2003, Croatia has invested considerable effort and fulfilled all the accession criteria needed to bring it into line with EU laws and standards. Tangible progress has been achieved in areas such us the rule of law, the fight against corruption, human rights and protection of minorities. This accession provides fresh evidence of the transformative power of EU enlargement policy: torn by conflict only two decades ago, the country is now a stable democracy, capable of taking on the obligations of EU membership and of adhering to EU standards. 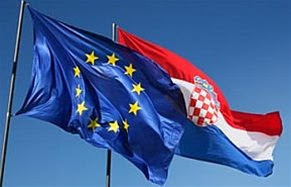 Croatia will hold 12 seats in the European Parliament and 7 votes in the European Council. The general objective of this call for actions is to further improve transnational administrative cooperation between national competent bodies and social partners involved in the monitoring and correct application of Posting of Workers Directive and increase mutual trust among stakeholders, including promoting exchanges of relevant officials and training, as well as developing, facilitating and promoting best practice initiatives in the area of posting of workers in the framework of temporary provision of services. 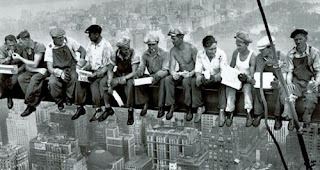 A posted worker for the purposes of the Directive is a worker who, for a limited period, carries out his work in the territory of a Member State other than the State in which he normally works. Developing, facilitating and promoting exchanges and/or training (for example joint visits, joint inspections, short training actions) of officials of competent public authorities and/or relevant social partners in charge of administrative cooperation and mutual assistance in relation to posted workers in the framework of the provision of services. Developing, facilitating and promoting exchanges and best practice initiatives with respect to the access of information between public authorities and relevant social partners, such as the development and updating of databases or joint websites containing general or sector-specific information concerning terms and conditions of employment to be respected in relation to posted workers in the framework of the provision of services. Exchange of information and best practices (for example, seminars, conferences, round tables) and dissemination of information and best practices in this respect (for example, reports, manuals, guidelines, leaflets, newsletter, web pages). Public authorities, social partners, international organisations, non-profit organisations, research centres and institutes, universities and civil society organisations. Budget for this call: 2.440.000 euro. 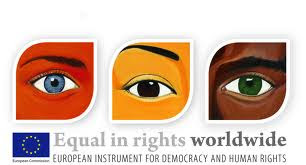 The European Instrument for Democracy and Human Rights (EIDHR) was created to give financial support for activities aiming to strengthen democracy and human rights around the world during the 2007-2013 financial perspectives. The specific objective of this Call for Proposals is to support and protect human rights and their defenders by reinforcing their capacities to do their work in the short and long-term, as well as providing tangible support and means of action to local civil society in the promotion of human rights and fundamental freedoms in some of the world's most difficult, dangerous, repressive and unpredictable political situations and/or where they are the most vulnerable and threatened. Actions taking place in one single country. Multi-countries actions having similar issues to be addressed or where human rights defenders face similar types of threats or obstacles to their work. Both lots do not include any list of focus countries. It is up to the applicant to identify the target area and prove the gravity of the violations with reference to direct and proven knowledge of the issues to be addressed, independent monitoring reports and/or specific indicators. This is essential to establish the relevance of the action: the more serious the situation, the higher the priority. To provide support and protection to human rights defenders in those countries and regions where they are the most persecuted and subject to repression. PROGRESS is the EU employment and social solidarity programme, set up to provide financial support for the attainment of the European Union’s objectives in employment and social affairs. PROGRESS supports, with this Section 5, the effective implementation of the principle of gender equality and promotion of its mainstreaming in all EU policies. The general objective of this call is to support actions from the civil society and other relevant stakeholders to promote equality between women and men and to achieve the objectives defined in the Commission's Strategy for Equality between Women and Men 2010-2015 and in the European Pact for Gender Equality 2011-2020. 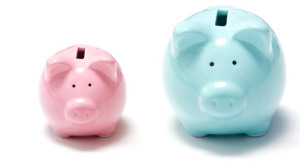 Actions addressing the gender pay gap: The European Commission therefore encourages the effort of all stakeholders, such as social partners, business associations, NGOs and research institutions to establish transnational partnerships and work together to contribute to tackle pay inequalities and reduce the GPG. Actions promoting gender balance in economic decision-making positions at all levels of the hierarchy, the European Commission encourages key stakeholders (social partners, business associations, recruitment agencies and head-hunters, business schools, universities and research institutes, public bodies, media, etc.) to establish transnational partnerships and work together to contribute to improve the situation. 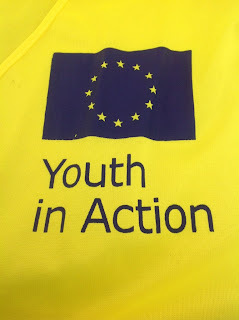 Within the “Youth in Action” programme, this call for proposals aims at supporting partnerships with regional or local public bodies or other stakeholders active in the youth sector at European level in order to develop over the long-term projects which combine various measures of the programme. • promote the development of sustainable networks, the exchange of best practices as well as the recognition of non-formal education. Preference will be given to well-structured projects which are framed within a longer-term perspective and planned with a view to achieve a multiplying effect and a sustainable impact. The projects will support the development of a programme including one activity or combining several activities taking inspiration from the ‘Youth in Action’ programme. This call for proposals assumes that exchanges with knowledgeable entrepreneurs from Brazil and from CIP Participating Countries will help Brazilian and European SMEs and entrepreneurs to address the lack of business and entrepreneurial know-how and skills environment to grow and encourage their development. To support business networking between entrepreneurs from Brazil and the CIP Participating Countries by building on knowledge and experience from each other. The specific objective is to select an organisation which will manage the exchange of new entrepreneurs between the Federative Republic of Brazil and CIP Participating Countries at local level. This call for proposals is expected to result in 100 successful exchanges. to support youth workers’ mobility and exchanges with a view to promoting the acquisition of new skills and competences in order to enrich their profile as professionals in the youth field. to strengthen the capacities of the structures involved in the project, which will benefit from the experience and new perspective brought by a youth worker from a different background. annual priorities of the ‘Youth in Action’ programme: awareness-raising of the rights linked to the EU citizenship, inclusive growth, creativity, entrepreneurship and employability, healthy behaviours. Who can apply? NGOs, bodies active at European level in the field of youth, public bodies at regional or local level. This call supports actions to reduce road congestion resulting from freight traffic with a view of improving the environmental performance of the transport system and enhancing intermodal transport, thereby contributing to a more efficient and sustainable transport system which will provide EU added value without having a negative impact on economic, social or territorial cohesion. It is specifically intended to help cover initial stage losses resulting from freight transport in new or enhanced intermodal services or resulting from freight traffic avoidance actions. 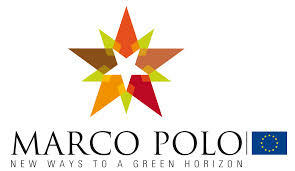 The measures proposed under the Marco Polo Work Programme 2013 shall contribute to Achievements of the EU goals for sustainable growth as established in the Europe 2020 Strategy. Modal shift actions, which focus on shifting as much freight as economically meaningful under current market conditions from road to short sea shipping, rail or/and inland waterways. 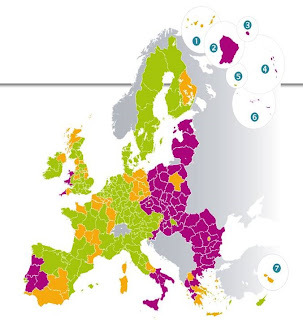 Catalyst actions change the way non-road freight transport is conducted in the European Union. Under this type of action, structural market barriers in European freight transport are overcome through a highly innovative concept: causing a real break-through. Motorways of the sea actions offering an integrated service, which shifts freight from long road distances to a combination of short sea shipping and other modes of transport. Traffic avoidance actions integrating transport into production logistics: reducing freight transport demand by road with a direct impact on emissions. Common learning actions enhance knowledge in the freight transport and logistics sector and foster advanced methods and procedures of co-operation in the freight market, with an overall objective of promoting intermodal solutions aiming at achieving modal shift or traffic avoidance. We are living strategic days for the European budget 2014-1010. The Cohesion Policy went through some substantial changes in line with the Europe 2020 strategy objectives of smart, sustainable and inclusive growth. The mayor hallmarks of the proposals are: concentrating funding on a smaller number of priorities better linked to the Europe 2020 Strategy, maximizing synergies, focusing on results, monitoring progress towards agreed objectives, increasing the use of conditionalities and simplifying the delivery. The package also harmonises the rules related to different funds, including rural development and maritime and fisheries, to increase the coherence of EU action. In particular, Territorial Cooperation has become more and more important and its role within the Cohesion Policy has been reinforced. To ensure the money is spent wisely in the future Cohesion Policy will focus on objectives and results with greater emphasis on evaluation and incentives for effective projects. Communicating the results of EU Cohesion Policy is essential so that excellent projects can be recognized and Europeans can see exactly how their money is being spent.